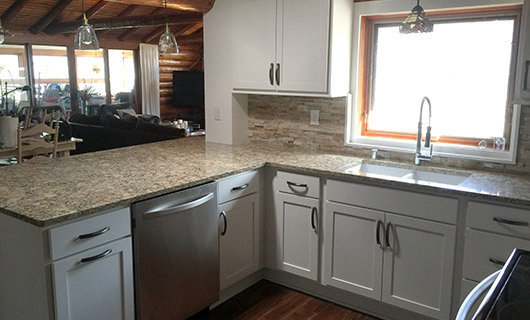 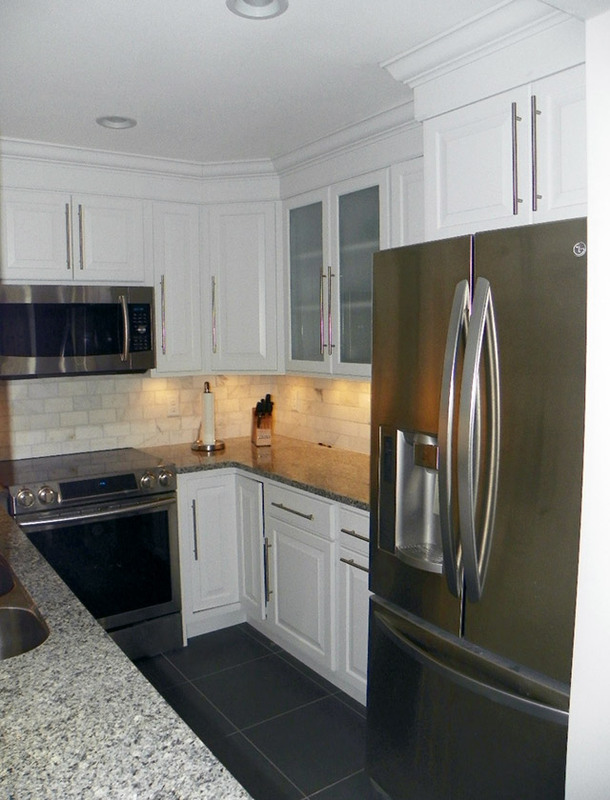 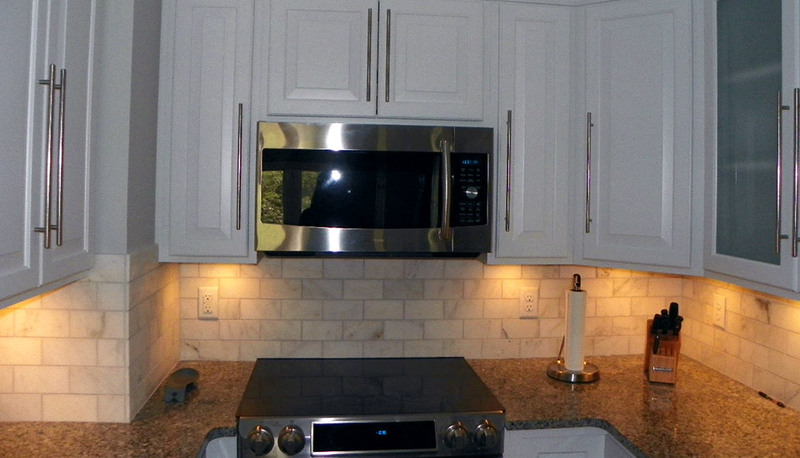 For this kitchen remodel, our clients wanted to create a functional kitchen space with better flow for ease of use. 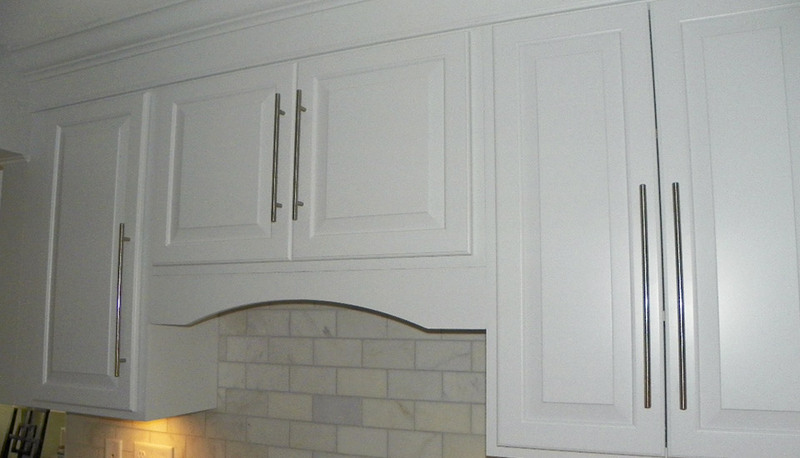 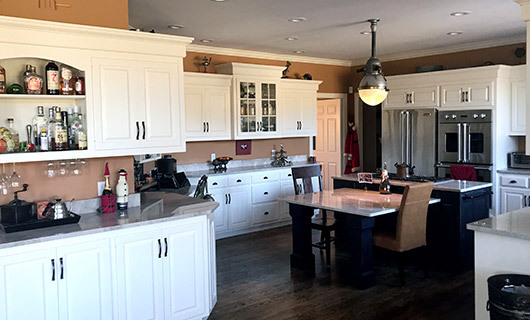 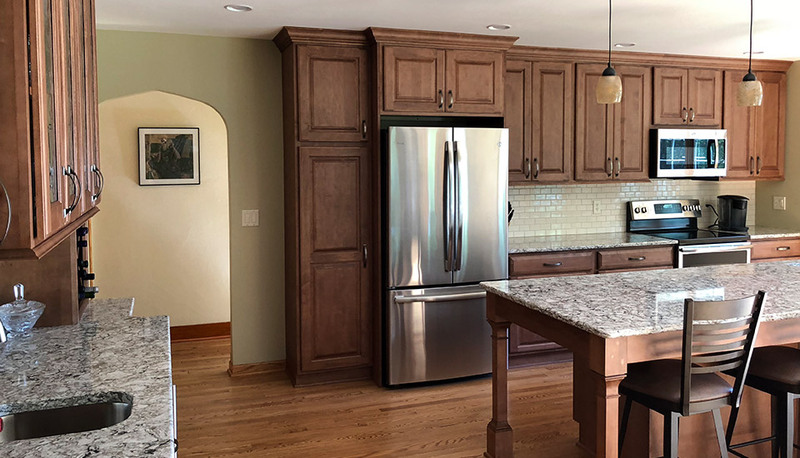 Taking inspiration from modern French country design, we built and installed all new white custom cabinetry featuring elegant silver door pulls and detailed crown moldings that connect the cabinets to the ceiling. 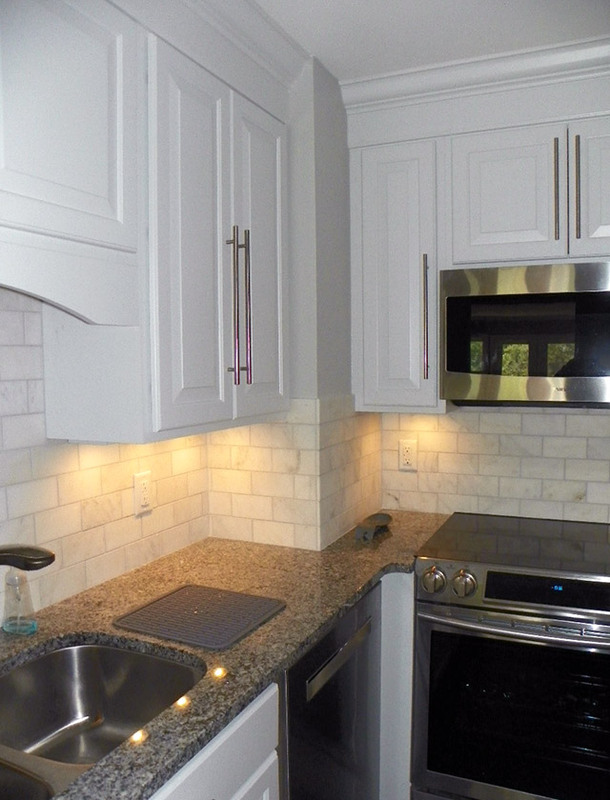 Custom backsplashes line the room and feature incredible honed marble tiling set off by sharp, slate gray, quartz countertops. 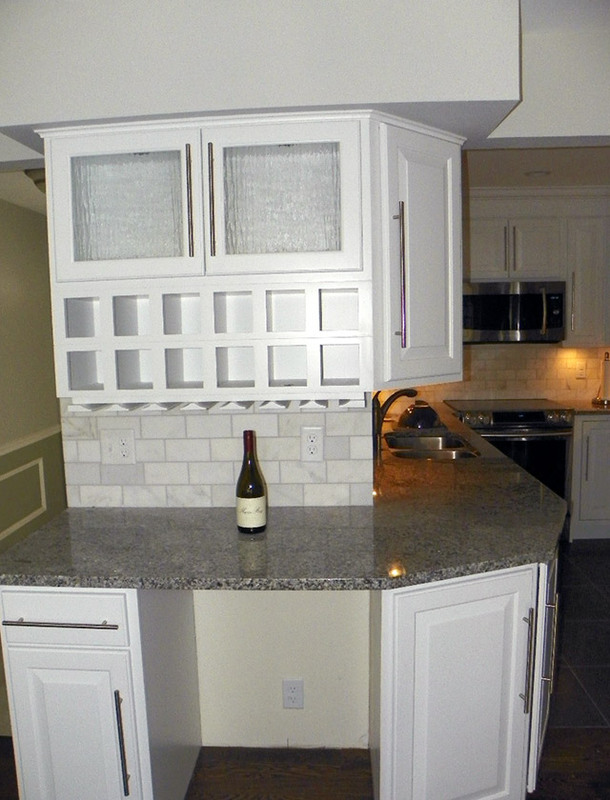 A custom bar with a wine and glass rack complete the space while custom tile flooring and LED under-cabinet lighting frame the new kitchen. 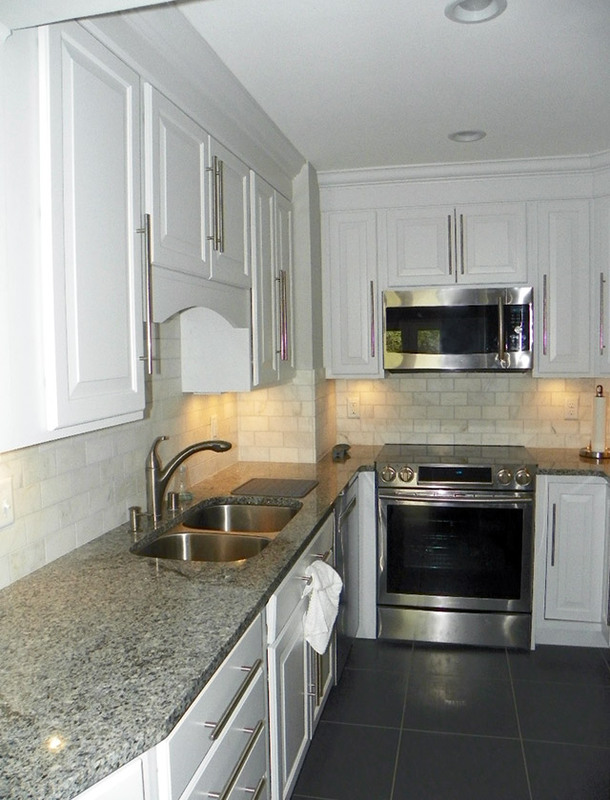 Updated appliances and an open and elegant floor plan make this kitchen the ideal space for cooking and entertaining!